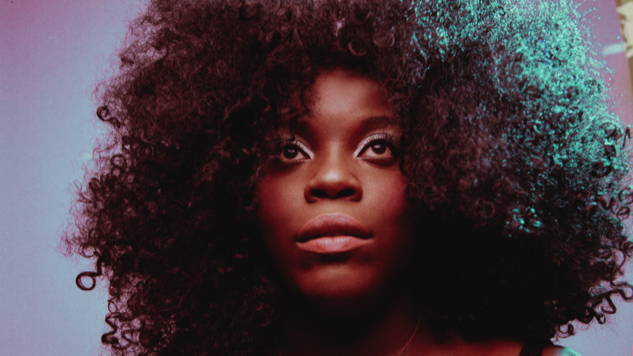 Daily Dose: Yola, "Faraway Look"
To fall into the warmth of a long overdue embrace is to hear Yola’s delivery of her new single, “Faraway Look,” the opening track from her forthcoming debut album, Walk Through Fire. With her stunning vocality, Bristol’s soul singer on the rise has the ability to transport the listener away from the moment they’re in and into Yola’s. For Yola, the new track represents how she was encouraged to “stay in [her] lane and be thankful for [her] lot,” she says, while still trying to find her footing as a female artist. Mere moments into the Dan Auerbach-produced track, it becomes apparent just how high Yola will soar in the new year. There is an unmistakable comfort in her voice that simultaneously feels like it’s been around forever and is the thing we’ve been missing all along. Watch the video for “Faraway Look” (dir. Tim Duggan) below to prepare for the release of Yola’s new album, due out Feb. 22 from Auerbach’s record label, Easy Eye Sound—details included further down.